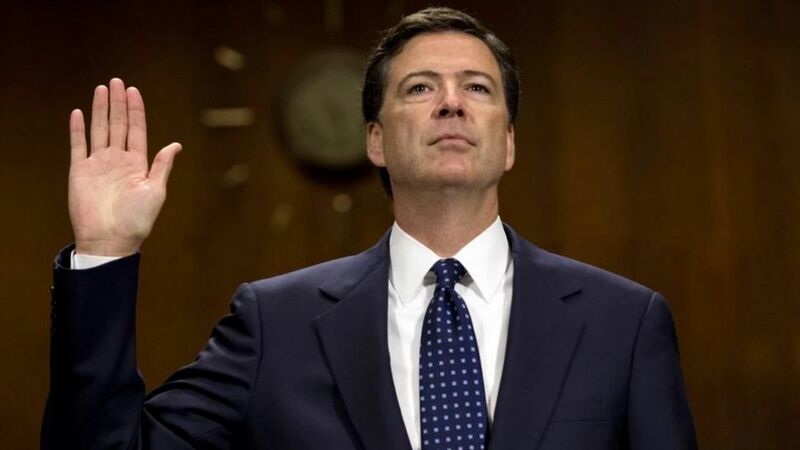 President Donald Trump’s firing of FBI Director James Comey gave more fodder to Democrats, many of whom were already calling for a special prosecutor to investigate Russian interference in the 2016 presidential election. Matthew Whitaker, a former U.S. attorney for the Southern District of Iowa, is unsure this case measures up to past cases involving special prosecutors. “Usually, there is some intractable conflict where the Justice Department is unable to do its job,” Whitaker, now the executive director for the Foundation for Accountability and Civic Trust, a watchdog group, told The Daily Signal. In the past, administrations have named special prosecutors that could conduct an investigation independent of the Justice Department, which is part of the executive branch. This is usually the case when there is consensus that the Justice Department cannot objectively investigate a matter, or can’t assure public trust that the probe was done without bias. Under President Bill Clinton, an independent counsel was named to investigate the Whitewater matter, which eventually led to the investigation of the Monica Lewinsky scandal. After President George W. Bush took office, and the independent counsel statute had expired, the administration named a special prosecutor to investigate the alleged leak of a CIA operative’s name. Whitaker said Deputy Attorney General Rod Rosenstein is highly respected. Rosenstein, who recommended to Trump that Comey be fired, will ultimately oversee any Justice Department probe into the Trump campaign and Russia because Attorney General Jeff Sessions has recused himself from any investigation that could relate to the 2016 election. However, Nick Akerman, a former Watergate prosecutor who worked for special prosecutors Archibald Cox and Leon Jaworski, believes this case is ripe for an independent view. Democrats and critics of the Trump administration allege that the firing came as a result of Comey stating the FBI is investigating potential Russian ties to the Trump campaign. White House deputy press secretary Sarah Huckabee Sanders told reporters Wednesday that every investigation that was going on Monday is going on today. “There is no evidence of collusion between the Trump campaign and Russia,” Sanders told reporters. While Sanders said the administration welcomes the investigation, she said a special prosecutor isn’t necessary because the House, the Senate, and the Justice Department are all separately investigating the matter. During the press briefing, a reporter asked a question about Trump meeting with Kissinger and a Russian official at a time when Democrats are talking about Russian ties and making President Richard Nixon comparisons. Sanders said the two meetings were planned well in advance. Previous administrations, including independent counsel Ken Starr during the Clinton administration and special prosecutor Patrick Fitzgerald during the George W. Bush administration, expanded their investigations beyond the original topic of inquiry. Both former federal prosecutors say that doesn’t have to be the case. Whitaker said past precedents demonstrate why an administration would be concerned about naming a special prosecutor to any case. This isn’t a matter that needs an independent investigation if the FBI has the proper resources to look into the matter, said Ron Hosko, a former FBI assistant director.